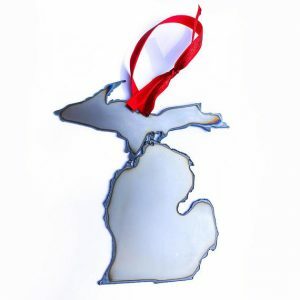 Imply By Design: Looking for ways to decorate your house with your home state or need wedding favors for your guests? 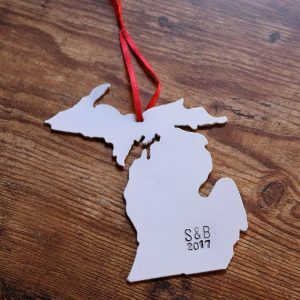 Very Cool Michigan Themed Ornaments! Imply By Design is owned and operated by Brett Rogers, a native Michigander and father of four. His Etsy shop gives him the opportunity to share quality time in the workshop with his kids as they work on projects together. Brett is passionate about his home state and loves the natural look of steel, copper, and repurposed barn wood to create all the items in his shop. Click through to the Imply By Design Etsy Shop for a special one of a kind Michigan gift! 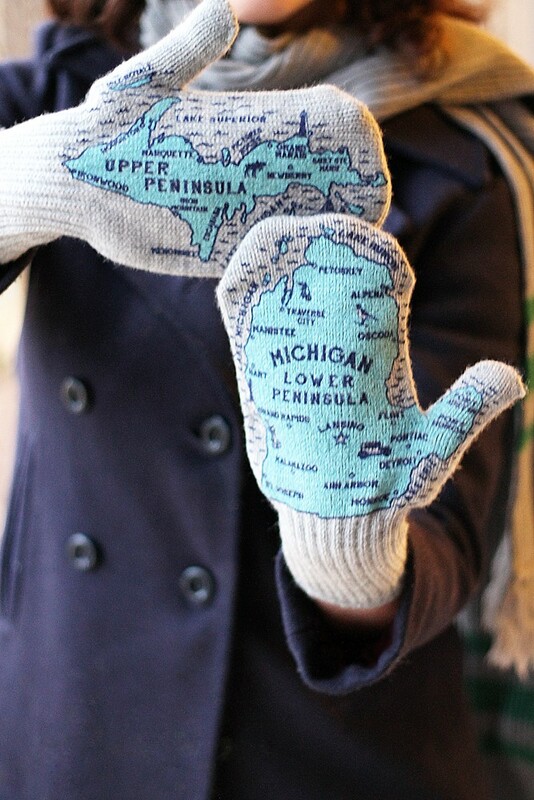 Michigan Mittens: Hey, it can get really cold in The Great Lake State, so wear your mittens! The mittens, available online at the Michigan Mittens website come in colors like Fog Grey, Vintage Rustic, Black Bear, Michigan Grayling, Great Blue Heron, and more. And it doesn’t matter if your rooting interest leans Green or Blue … they’ve got those colors too! You can have these colorful (and useful!) mittens delivered right to your door by ordering on their site. They’ve got a bunch of other cool stuff there too! Non toxic skincare products, earth friendly household cleaners, and hand crafted aromatherapy offerings highlight the product line. Check out the Mama Suds Automatic Dishwater Powder, which is 100% biodegradable and was given the thumbs up by EWG.org’s “Guide To Healthy Cleaning”. Also, take a look at the Age Defying Skin Cream (we can all use that!) along with the rest of the safe-to-use products Michelle features … there’s even a pet shampoo for your best four legged friends! 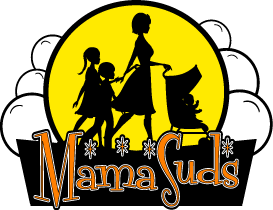 Click through to the Mama Suds website and see all the products that’ll make your life just a little bit better and easier. Wholesale opportunities are available too! Mind Your Beeswax: Recently, we spent a long weekend in Detroit. We’ve been visiting the city for various reasons over the last 30 years and every time we’re in town, we make sure to stop at the wonderful Eastern Market, the largest public market in the country and a fixture here since 1885. We’re always on the lookout for locally produced honey, and were very pleased to discover Mind Your Beeswax Honey, produced from the bounty of Michigan wildflowers. One local business we discovered downtown is Kaleamazoo Chips (no, that’s not s typo). They make kale chips using locally grown kale. 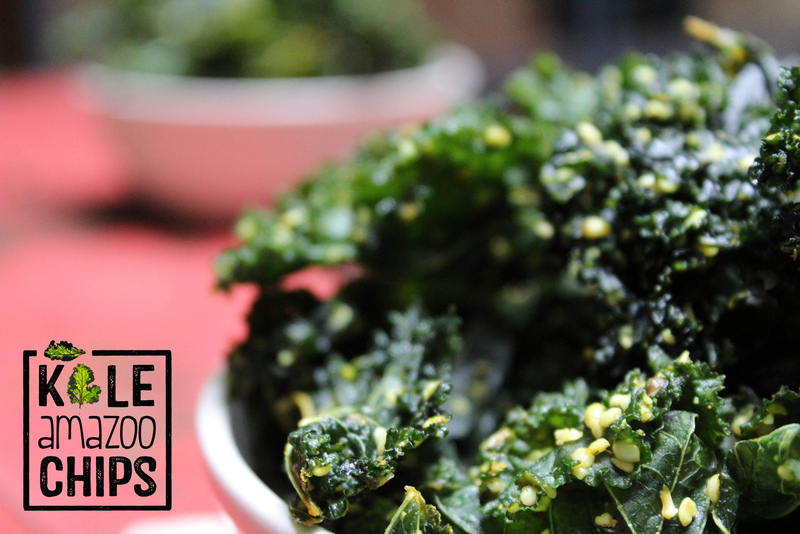 The kale is dehydrated and the texture is light, crispy, and very satisfying. They’re good for you too! These chips come in lemon or lime flavors and they’re available at stores across Michigan (there’s a list at their website) and also online. 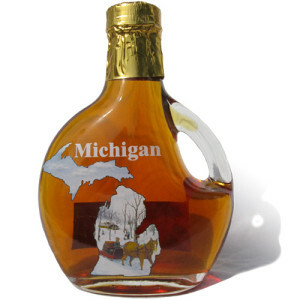 Michigan Made and available in a variety of flavors from traditional to tantalizing, a gift from here will be most appreciated. We’ve learned one indisputable truth – everyone loves popcorn! 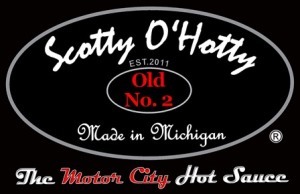 Stop in for a visit the next time you’re in Detroit, or click through to their website, linked above, to order online. They’ve got all sorts of gift tins just waiting for you or that special lucky someone to enjoy! If you’re a honey fan like we are, you know honey tastes different depending on where it is sourced. It’s a lot of fun trying different honey made in different geographic locations. 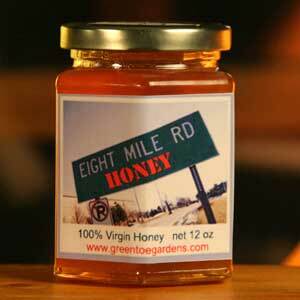 Green Toe Gardens makes one called Eight Mile Road Honey, pictured. It’s as real a taste of Detroit as you can get! 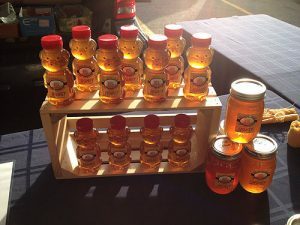 This small business also produces honey related items like candles and offers gift sets as well. At their website, you’ll find a list of market locations where you can visit them and buy if you’re a local. You can also shop at their online store and they’ll ship to your doorstep. We can tell you from personal experience, their honey is fantastic! 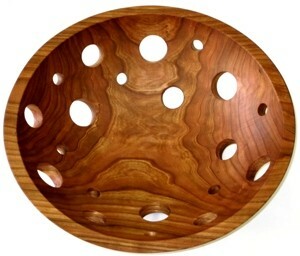 Two Hearted creates furniture for any space in your home, be it your living room, bedroom, dining room, or outdoor area. 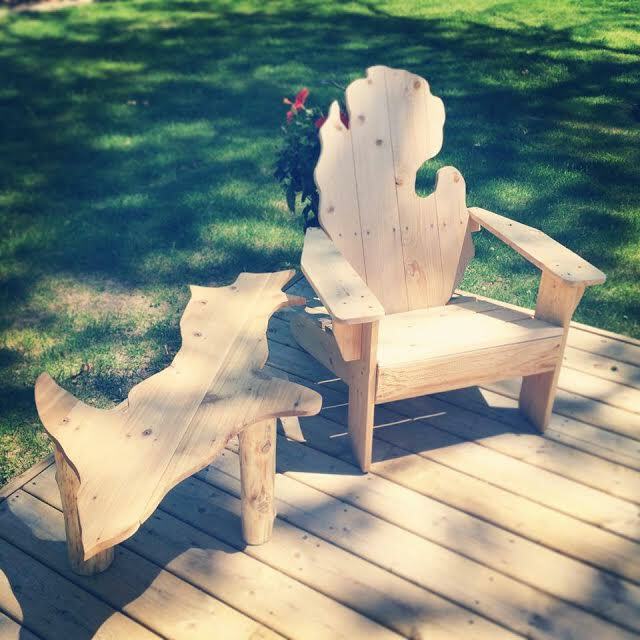 One of their most popular items is the Michigan Adirondack chair (pictured along with the Upper Peninsula coffee table) – it’s just one of dozens of pieces just waiting to be welcomed into your home. Be sure to check out the Two Hearted Cabincraft online store. There you’ll see a representative sampling of some of their work – you’ll also get some great ideas for custom pieces! And if you have a soft spot for the U.P., order yourself one or two of the fun and creative Upper Peninsula coffee tables … a great gift idea too! We love featuring talented local family owned companies like Two Hearted Cabincraft. Click through to see everything they’re doing and tell them you found them on the Made in Michigan page! Well, that’s not completely true, but it certainly is an added benefit. Michigan is well known for their Coney Dogs, which are similar to chili dogs except the meat is known as Coney Sauce in The Wolverine State. There are many famous Coney places here … some small chains, some independents, and in our estimation, they’re all pretty good! At their website, you can satisfy your craving by ordering a special “Coney Kit”, or their special Coney Sauce and hot dogs. They’ll ship anywhere in the U.S. – perfect for Michigan or Michigan State themed parties! Koeze Peanut Butter: Have you ever tried a specialty brand of a common product and thought to yourself “Why can’t they all taste like this?”. That happened to us when we enjoyed a jar of Koeze Peanut Butter, made by the Koeze Company located just outside of Grand Rapids. This stuff is fantastic! It’s all natural with no added sugars or preservatives like you’ll find in the grocery store brands. The only ingredients are peanuts and a pinch of sea salt. It’s creamy and spreads like a dream – quite possibly the best peanut butter made anywhere! 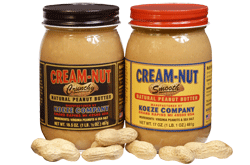 The company has established a catalog and e-commerce arm called Koeze Direct, and we’ve linked directly to the peanut butter page. 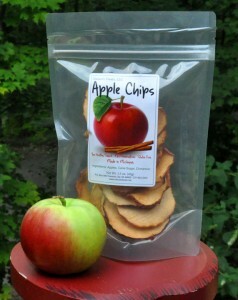 They also make Crunchy and Organic varieties as well, and sell by the jar or by the case at the website. If you’ve got a peanut butter lover on your list, get them some, they’ll love it! You can purchase any of the Holland Bowl Mill products directly at their website, or check out where you can find a retailer in your location. Great as a shower or wedding gift! These two small batch sauces (with more on the horizon) are known as Papa’s Smoked Peppa and So Hot It Hurts. The latter is created with a mix of chiles and roasted garlic and makes an ideal complement for everything from breakfast dishes to soups to Bloody Mary’s. Papa’s Smoked Peppa offers a blend of chipotle chiles, tomatoes, and roasted garlic just perfect for chicken and pork dishes or as a pick me up for tacos and pasta recipes. The perfect combination of flavor and heat! Click through to the Papa Turts website linked above and check out their story and all they’ve got going on. They also do custom labeling – perfect for corporate events, special gatherings, or as a unique gift for the hot sauce lover on your list. 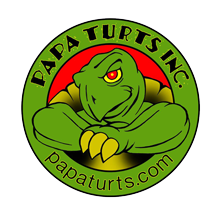 Be sure to see all the cool Papa Turts swag available at their site too! Greene Town Foods: When you think of Michigan, there’s all kinds of culinary delights which come to mind. Cherries, local wine, fresh fish, Coney dogs, the list goes on and on. And let’s not forget about apples! Apples are one of The Great Lakes State’s best known crops. In the early fall through October, orchards in the northern part of Michigan are teeming with fresh, crisp apples. They’re really a treat! At their website, the company sell s them in various quantities along with a jalapeno variety if you like things a little on the zippy side. Click through and order yourself something very Michigan! During the winter months, Ryba’s bases their operations in suburban Detroit and for you Chicagoans, there’s also a location on Navy Pier. You can conveniently shop at their website, where the Ryba’s online store offers corporate gifts, wedding specialties, and more. Custom fudge flavors are available, and don’t forget about your dog – they make yummy dog treats dipped in a special recipe peanut butter fudge to get your best friend’s tail wagging! 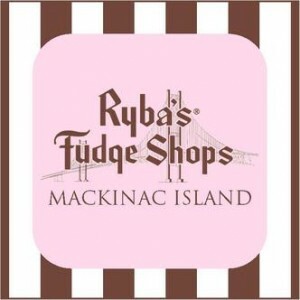 A wonderful Made in Michigan gift, Ryba’s fudge will bring back the special memories of a special place for anyone who experiences its rich, mouth watering flavor. Order directly from their site for yourself or as a thank you gift. Guaranteed to please, because really, who doesn’t love Mackinac Island fudge?? The city is undergoing a rebound, fueled by independent entrepreneurs starting new small businesses and building up the economic base. One such business, located in the downtown core, is the Detroit Denim Company, founded to bring back the tradition of high quality durable & fashionable American jeans. Founder Eric Yelsma ensures each pair of the company’s jeans and other denim products are expertly crafted with U.S. sourced materials. 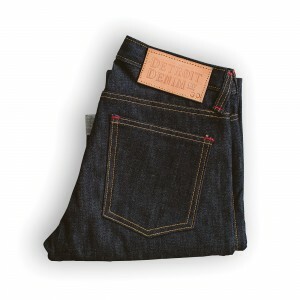 Just as a good pair of jeans should, Detroit Denim’s are made to be worn often and washed infrequently. The more you wear them, the better they conform and feel a part of you and the better they look! And should they ever need to be repaired, the company offers a service to handle any rips, patches, or other mishaps for a nominal fee – they want your jeans to last for years too! Click through to learn more about the Detroit Denim Company and check out their jeans and other denim creations. You can order directly at their website – Made in Detroit! 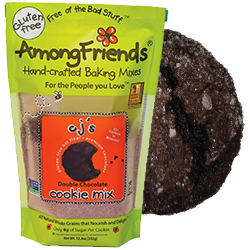 Among Friends creates traditional mixes for just about anything you enjoy baking and your family enjoys eating – the product line includes mixes for brownies, chocolate cake, chocolate cranberry cookies, fruit crip mix, molasses ginger cookies, and more. The hard part is done for you … most mixes simply require adding eggs and butter per the simple instructions and letting your oven do the rest! Convenient easy to bake healthy treats for you and your family – enjoy! Fast forward a few years and their sauces have won numerous industry awards, including Chili Pepper Magazine and the New York Hot Sauce Expo. The product line is led by their Premium Pepper Sauce, a richly flavorful recipe that adds character to any food it encounters (try it on scrambled eggs). If you like things a little hotter, go for their Premium Habanero or Ghost Sauce – they’ll liven things up for you! Scotty O’Hotty also makes a fantastic Beer – Bacon Chipotle Sauce – add some atop a BLT sandwich or on pork chops. It’s mild and offers the smoky flavor of chipotle peppers. We mixed a bit with some store bought potato salad and thought we were in taste bud heaven! 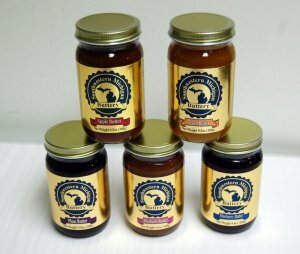 You can buy any of their sauces for yourself directly at their site – a true Made in Michigan gift idea too! Brownwood Farms is also well know for their line of preserves (try the Michigan Blueberry) and pie fillings which will turn your next fruit pie into a masterpiece. 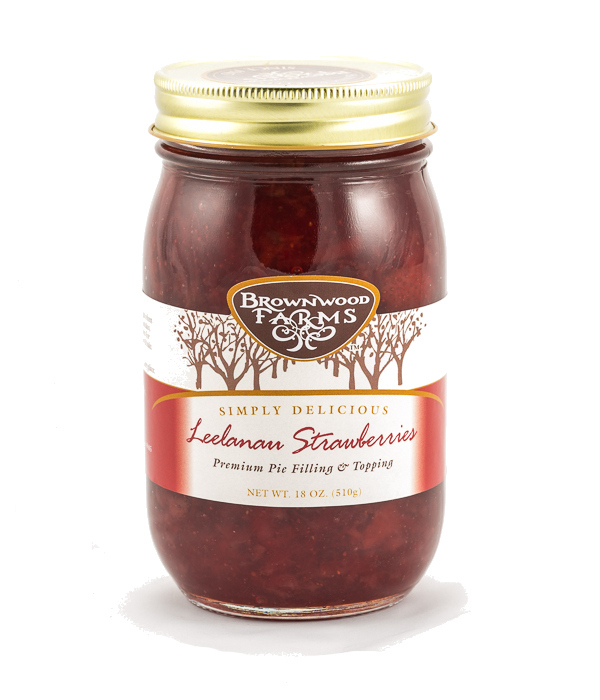 Their Leelanau Strawberries are so good you can enjoy them right out of the jar! The company offers a wide variety of gift packs for special occasions as well as corporate gifts. Click through to their site and enjoy the fresh taste of Michigan! Three signature sauces head the product line, to be followed soon by barbecue sauces. 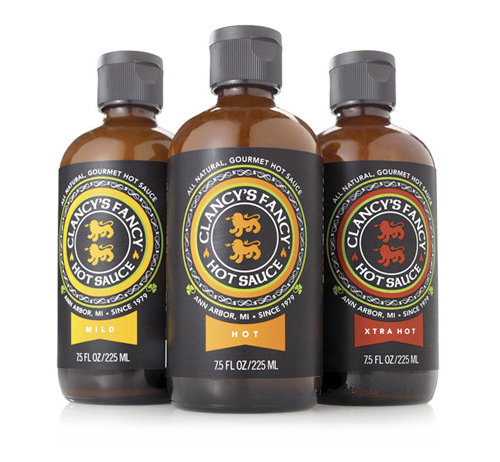 Featured on both The Travel Channel and The Food Network, Clancy’s Fancy is available in Mild, Hot, and XTRA Hot varieties. Each offers varying degrees of heat, combined with bold flavors from fresh ginger, paprika, extra virgin olive oil, and apple cider vinegar. It’s Garlic Fix Flavor Sauce, one of line of all purpose gourmet sauces developed by Michigan based Sweet Sass Foods. We enjoy using garlic when we cook and are always on the lookout for sauces featuring garlic. Bottom line – if you like garlic, get a hold of some of this sauce! Garlic Fix Flavor Sauce can be used as a marinade, a glaze, or simply added to soups, stews, casseroles, you name it. We used it as a primary ingredient in a pork stir fry and were ultra pleased with the results! It’s a mix of apple, cinnamon, honey, and roasted garlic – a marvelous combination! Sweet Sass Foods makes several other all purpose sauces, like their Chipotle Craze, Hickory Kick, Habanero Flare, and their original sauce, Straight Up. We’re anxious to try these too! All their sauces are available directly at their website, as well as at many stores in The Wolverine State. 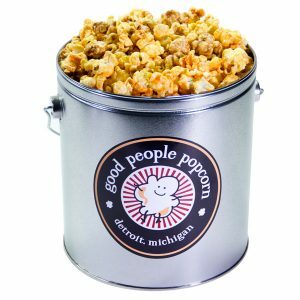 Enjoy some unique flavors – Made in Michigan! Due to a unique combination of climate factors, southwest Michigan is also one of the Midwest’s best areas to grow fruit. One of the great pleasures of visiting this area is stopping at a road side stand to buy a few pieces of juicy fresh fruit. It’s in this area that a small company called Southwestern Michigan Buttery produces a line of all natural fruit butters. In case you didn’t know, fruit butters contain no butter – they’re a spreadable accompaniment made from actual cooked fruit with a bit of sugar and spices added. A true Michigan product, everything from the fruit to the packaging is local to The Wolverine State. 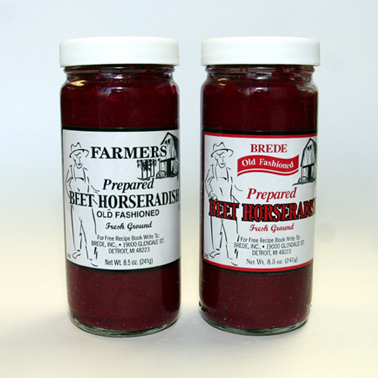 The company produces Apple, Peach, Rhubarb, Plum, and Blueberry Fruit Butter with more flavors in development. An ideal gift, you can purchase gift packages of these delightful spreads directly at their website. Three packs and five packs are available, and don’t forget to check out the many recipes listed for a number of creative culinary suggestions! Freestone makes a unique pickle called the Chili Lime. As the name suggests, it’s a spicy lime pickle whose flavor is one of a kind! They’re available in 12 count packages and can be shipped anywhere in the continental United States. 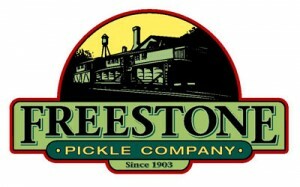 Just click on “Pickle Store” on the Freestone Pickle website to get yours! Brede Foods has been around in Detroit for over 90 years. 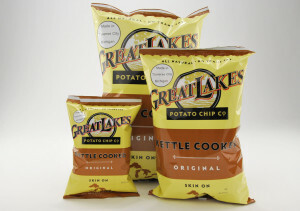 They’re best known for their horseradish products but also make a variety of mustards and a specialty sauce called Great Lakes Grillin’ Sauce, which has a big following, particularly in Michigan. It’s kind of a midwestern take on barbecue sauce … a combination of spicy and sweet that can be used just like a barbecue sauce or ketchup. It’s great on burgers! 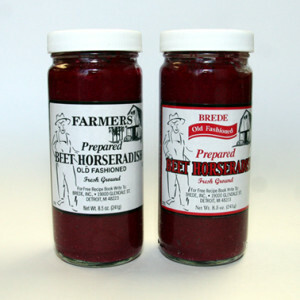 You can find many of Brede’s products at local grocery stores, but if you’re looking for something specific, as I was with the beet horseradish, check out their online store. They deliver to all 50 states and I hope you bring back great memories from long ago just as I did! See their online store to see everything they’ve got available! The Ultimate Pretzel Company & More! 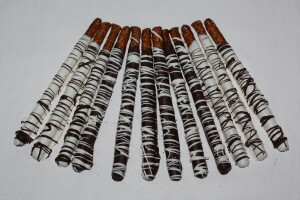 The Ultimate Pretzel Company & More: Since 1997, founder and owner Lynn Kughn has been creating a unique line of award winning gourmet pretzel treats. Recently adding to her product line, Lynn and her staff now also offer buttery toffee and chocolate bark products embedded with pretzels and more! To get an idea of how creative gourmet pretzels can be, take a peek at the Ultimate Pretzel Company & More website. There you’ll find a wide array of dipped pretzels in a variety of special flavors and ingredients – there’s sure to be one to catch your eye! We were taken in by one of the products called Grande Nut … it’s a signature pretzel rod dipped in caramel, rolled in Rice Krispies, dipped in gourmet chocolate, then rolled in crushed walnuts. Now that ain’t your ordinary pretzel! If you’re looking for a unique gift, the company makes an assortment of gift packages and boxes with Ultimate Pretzels, Toffee, and Bark. 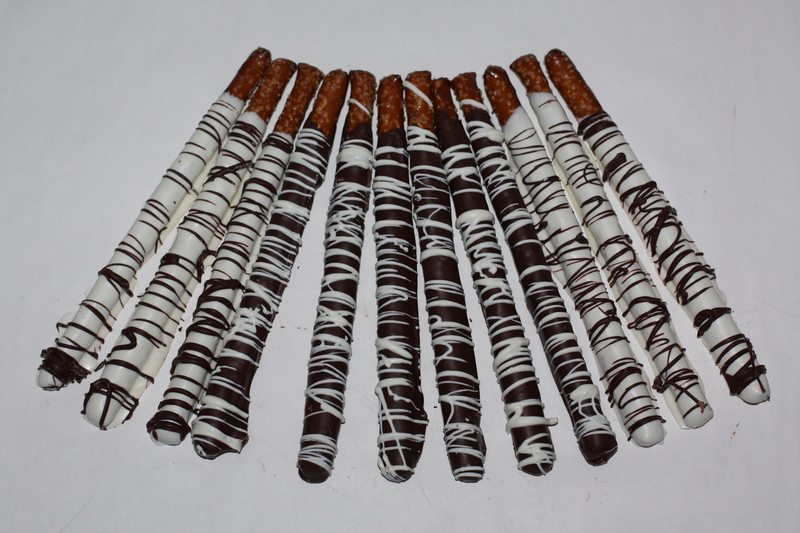 Pictured is “Pick Up Sticks”, a dozen pretzel rods drizzled with artisan chocolate. There are special gifts for Congratulations events and other personalized messages. 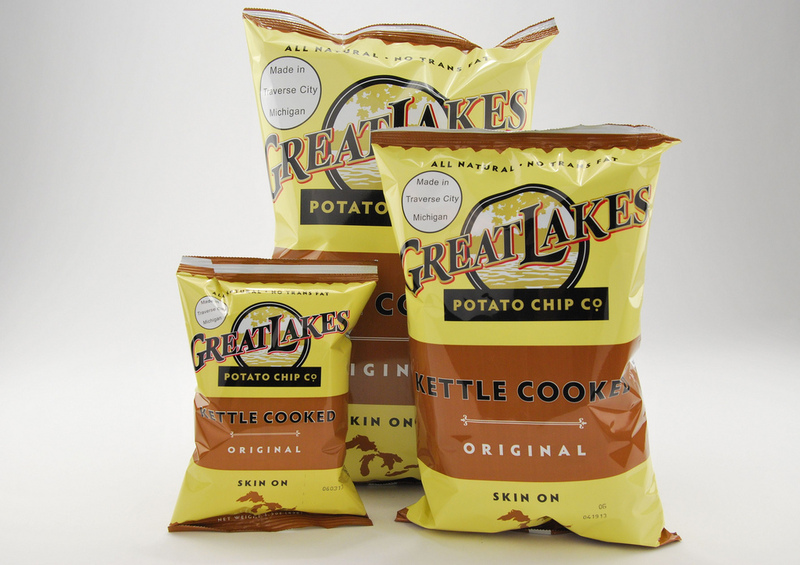 Great Lakes Potato Chips: We love discovering new potato chips! As readers of State Gifts USA may know, we’re potato chip aficionados, having tried dozens of different brands across the U.S. These chips are hearty and pack a great crunch … give them a try! 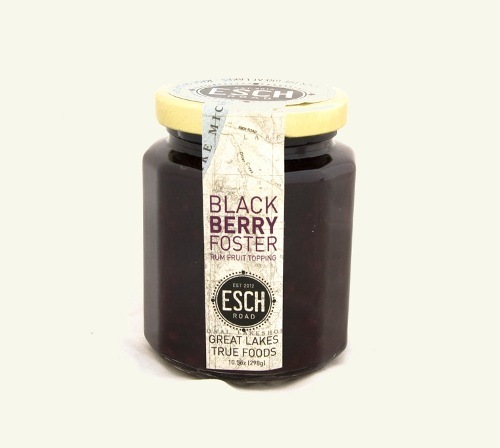 Esch Road Foods: Based in the Sleeping Bear Dunes National Lakeshore area of northwest Michigan, Esch Road Foods is relatively new on the scene. Founded in 2012, the company is based just a good stretch of the legs from the shores of Lake Michigan. Aside from the Blackberry Foster, you’ll find Blueberry, Cherry Raspberry, Tart Cherry, and a line of fruit salsas, preserves, and barbecue sauces. The company has partnered with the wonderfully Michigan-centric online store TraverseGourmet.com where you can order all the Esch Road products either in single quantities or combination gift packs. Give yourself a tasty gift from Northwest Michigan! 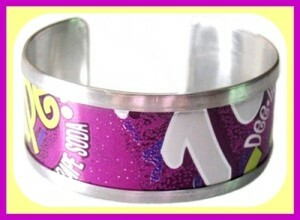 We are really impressed with Cangle’s locally inspired jewelry, like the Faygo cuff bracelet shown. Faygo, which you can learn about below, is a long time Detroit soda pop manufacturer. What a great Michigan themed gift! And for all of you Vernor’s fans out there, don’t worry, Cangle’s makes similar products recycling their cans too! Check out all the interesting Cangle products at their website. Prices are exceptionally reasonable! Called The Heritage Tree, they have a shop on Etsy showcasing their work. Cherry, pine, walnut, and maple are just a few of the lumber varieties used. 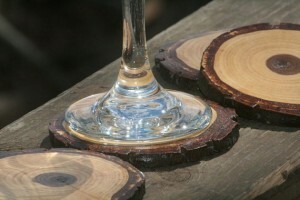 The coasters pictured are made from cherry wood and have been sanded and sealed in a protective coating. They’re then sealed with a coat of beeswax and orange oil to give them a durable sheen. Achatz (rhymes with “jackets”) is best known for their Michigan 4 Berry Pie, pictured. Their best seller, it includes Michigan cherries, raspberries, blueberries, and blackberries. A wonderful gift from Michigan! Any of their pies are available for purchase online and they’ll ship anywhere in the USA! The Back Buddy, as show, provides support for your upper and lower back, as well as your arms. As mentioned, it’s ideal for expectant or nursing mothers, but its benefits extend to anyone who needs more back support and proper spinal position while sitting (and that’s everyone!). Check out their website for all the details and benefits … you can order directly online. 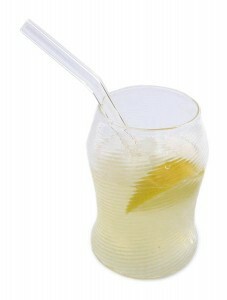 Check out the entire Strawesome line of stylish reusable glass straws, and start drinking eco friendly! 2). Michigan has the most lighthouses of any state – at last count 116. 10). Torch Lake is the state’s longest inland lake at 18 miles. It is also the deepest inland lake in the state at 302 feet. 11). In far southeast Michigan, actually adjacent to Toledo, Ohio, is an area called “The Lost Peninsula”. It is a small peninsula of land jutting out into a bay adjoining Lake Erie on one side, and the Ottawa River on the other. Residents of the Lost Peninsula must drive through a portion of Ohio to get to any other point in Michigan. This unique strip of land was created by the drawing of the state line which resolved land dispute issues between the two states dating back over 200 years. 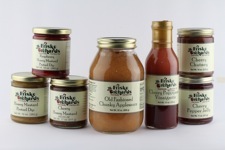 Friske is famous for showcasing the bounty of Michigan fruit in many of their products. 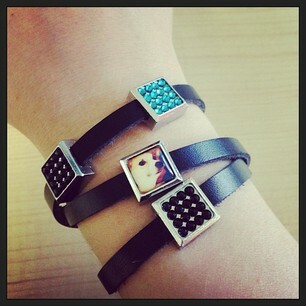 You can buy them online on their site … they make great gifts! Some of our favorites include their jams, cherry products, local honey, salsa, and syrups. You can even buy fresh fruit shipped to any location (their apples are outstanding!). It’s a butcher block style cutting board made from reclaimed wood from old abandoned Detroit structures. 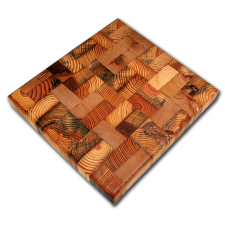 Rather than the wood simply being thrown into a landfill, it is reconditioned and sealed with several coats of food safe mineral oil and beeswax. Isle Royale Greenstone is actually the common name of the gem. It is officially known as chlorastrolite and is tricky to work with for a jeweler as the stone is hollow, although very hard. 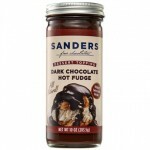 You can find (and order online) all kinds of chocolate dessert treats from Sanders, including boxes of chocolate, snacks, gift baskets, and more. 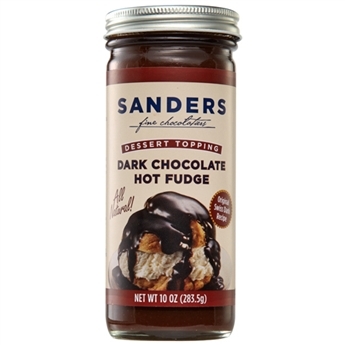 Our absolute favorite is Sanders Dark Chocolate Fudge dessert topping … it is practically addicting! We found out about it from some friends who summer in Michigan and use the Original Flavor Zip It Sauce with steaks or any cut of beef for that matter. It’s a cream based sauce which you can basically use right out of the jar … just add some unsalted butter. 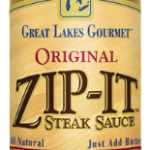 Zip It Steak Sauce complements the flavor of the meat without overwhelming it. It comes in several different flavors like cabernet, mushroom, bleu cheese, and roasted poblano. Detroit is a wonderful foodie city, and restaurants tend to emphasize local ingredients and local producers. 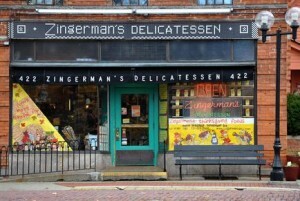 There’s a lot of unique and yet very down to earth cuisine here, many that you won’t find far from the Motor City. 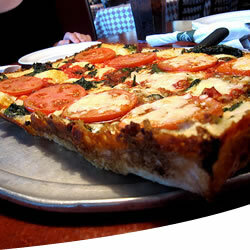 Did you know, in fact, that Detroit has its own style of pizza? One of the original makers of square pizza is Buddy’s Pizza, a Hamtramck legend that’s been serving these pies since the mid 1940’s. They have a few locations in the metro area, but the original at the corner of Conant and Six Mile Road is legendary. 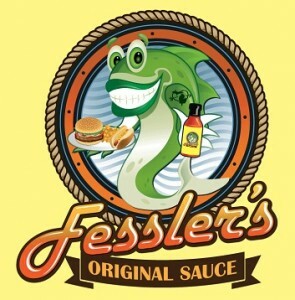 They’re also known for their famous vinaigrette salad dressing, which you can buy online (along with Buddy’s t-shirts) at their online store, linked above. Detroit’s Famous Coney Dogs – Oh Yeah! They are Lafayette Coney Island and American Coney Island which both serve legendary “coney’s”, aka Coney Island hot dogs. There are ample arguments as to which is “best”, Lafayette or American. Our advice? Have a Coney at each and pass your own judgement on the debate. They’ve both been around forever. Every time in town, we eat at both, and we love both! 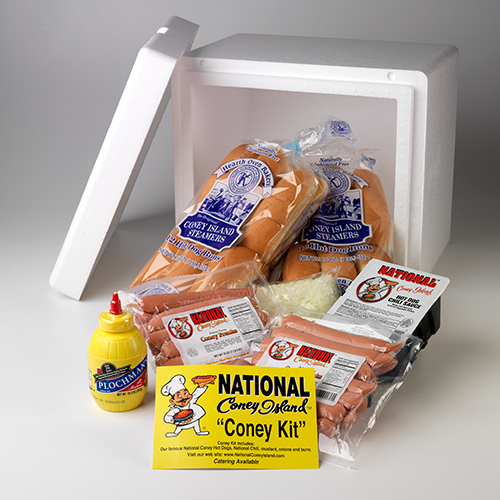 American sells “Coney Kits” containing 12 hot dogs, fresh buns, chili, and a sweet onion, all direct from the restaurant. They’ll ship anywhere in the country … a fantastic Michigan gift! Faygo Beverages: Another Detroit original is Faygo Beverages, part of the local landscape since 1907. 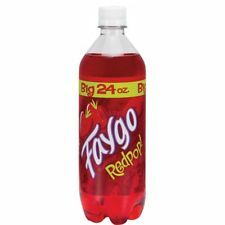 Faygo has an online store where you can purchase and ship a 24 can case of any flavor you want to someone craving these Motor City flavors. You can also buy cool looking original logo Faygo t-shirts, hats, and other swag too! If you’ve been reading this site for any length of time, you know we’re a big fan of local potato chips. 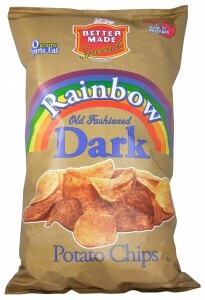 Our favorite chips from Better Made Snack Foods are their Rainbow Chips. They’re basically darker potato chips that look more well done (cooked longer) than a traditional chip, but really they’re from a specially formulated potato with a higher sugar content. 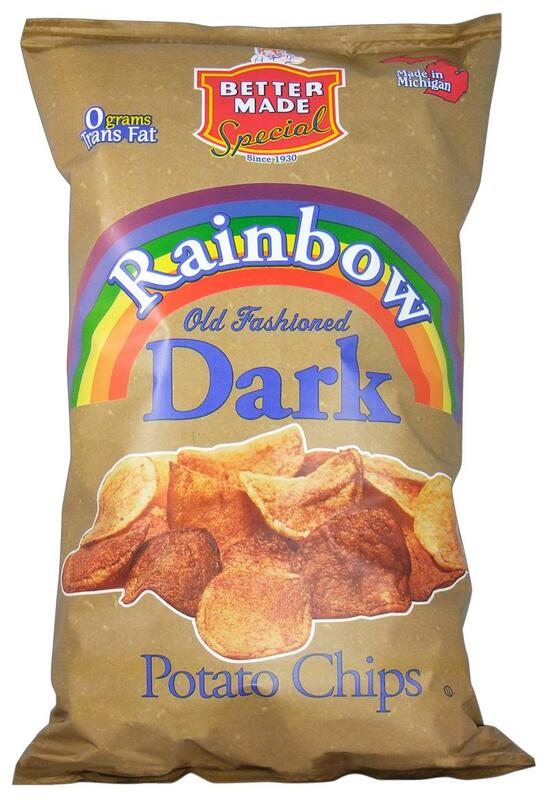 Rainbow Chips are a little sweeter in taste … we love them! You can order these distinct chips online, as well as any of Better Made Snack Food products. Made in Detroit! The company was founded a few short years ago by Greg Ramfos, who owned an automotive related business that was failing. A clever bit of re-engineering turned an automotive factory into a charm and bracelet company … and the company has now churned out over a million Roxo bracelets which allow individuals to express themselves … and make people happy! A great story! Founded in 1947, Kilwins has grown to almost 90 locations across the U.S. But if you don’t have a location near you, you can order Kilwins fudge and other products online at Kilwins.com. 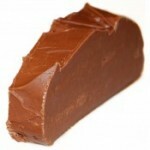 Fudge comes in several different flavors like chocolate, butter pecan, pumpkin walnut, and more. Their best selling product is actually “turtles” … chocolate covered pecans and melted caramel. You can find Al Dente Pasta in many specialty markets across the country, but if it’s not available in your area or you want to send it as a Michigan themed gift, can can order online directly from the company. 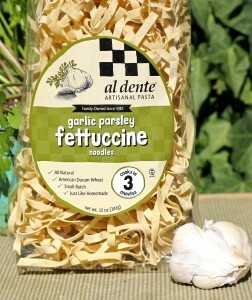 Just go to AlDentePasta.com where you can order in quantities of six or twelve bags of pasta. Gift baskets and special combinations are available as well … check their website for all the details. 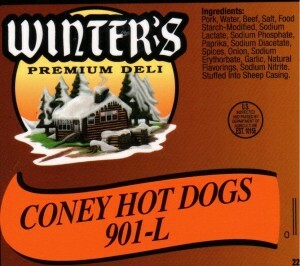 Some of their products include natural casing wieners, landjager sausage, hot dogs, and Coney dogs (shown). 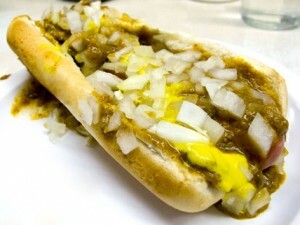 Coney dogs are a Detroit staple … they’re a smaller hot dog served on a steamed bun and smothered in special recipe chili and chopped onions with mustard. Two landmark restaurants sit aside one another in downtown Detroit – American and LaFayette Coney Dogs. It’s sort of a right of passage in Detroit to have one or more Coney Dogs at each place! 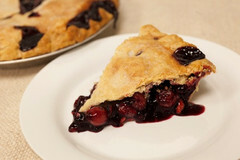 Grand Traverse Pie Company is best known for their cherry pie (pictured), which can be shipped anywhere in the country. They make popular gifts, particularly for someone without a GT Pie location nearby! You can also buy all sorts of other flavors online, including fruit pies, cream pies, pumpkin and pecan pies, and other baked delights. It’s a real taste of Michigan! 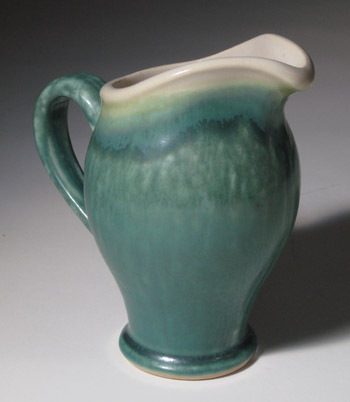 Pewabic Pottery makes a great gift for anyone … it’s like owning a piece of classic Americana! 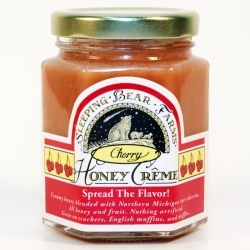 It’s the cherry creme honey (pictured), which combines the taste of Michigan cherries and fresh honey. The mixture is whipped until it’s smooth and spreadable … perfect on toast, muffins, pound cake … you name it! Cherry Republic: Based in Glen Arbor, Cherry Republic is all things cherry … basically they bring Michigan cherries to the world! You can also combine many of their products in handy gift baskets and boxes … perfect for a client gift, welcome gift, or going away present. Check their site for all your cherry gift giving options! 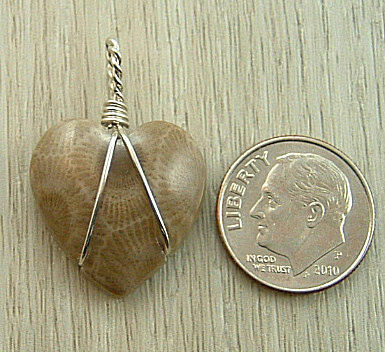 The site showcases many examples of Petoskey stone jewelry, a stone that is unique to the northern shores of Michigan. Petoskey stone is actually fossilized ancient coral, and the stone offers beautiful patterns and a smooth, almost shiny finish resulting from years of being scrubbed by waves and sand. Petoskey stones are highly desired by collectors who comb the state’s northern beaches to harvest them. They are frequently crafted into jewelry … a beautiful gift unique to Michigan! You can buy Country Home Creations mixes and other food products directly from their site. They’ll put together a nice gift package for you, and there’s lots of great recipes on the site too!